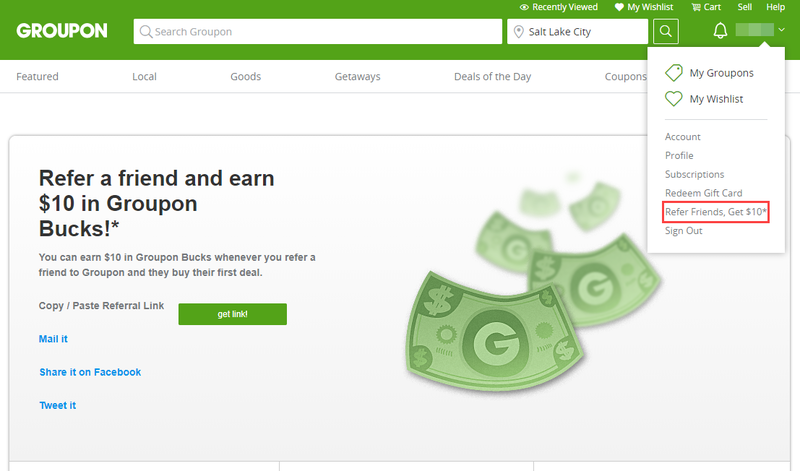 Groupon is an e-commerce marketplace that connects consumers with merchants. Customers can purchase activities, goods, travel, restaurant vouchers, and services from 28 countries worldwide. Discover 1000s of great deals nearby and all over the globe. 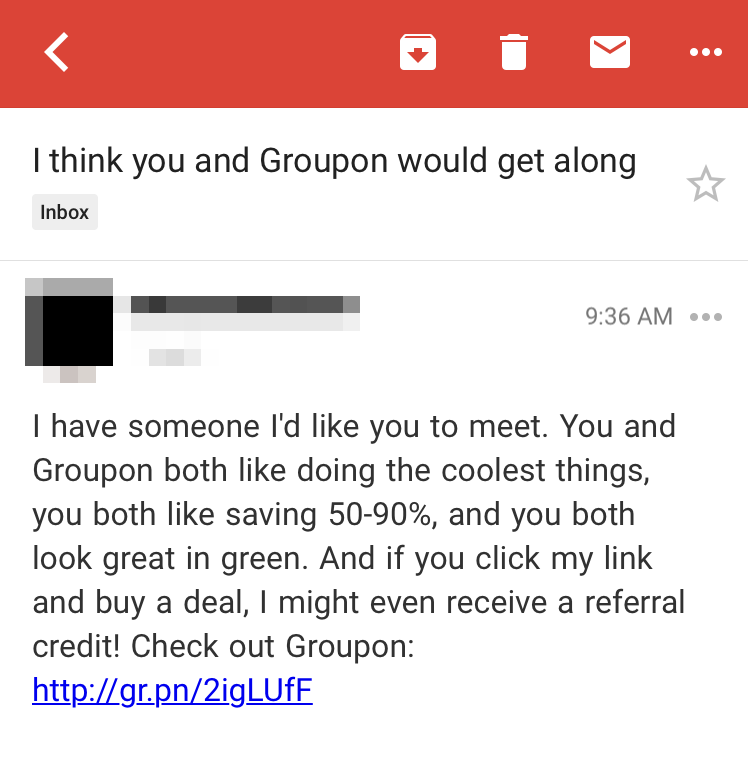 Groupon offers a pretty great referral program, at least on the participant’s side. They only provide the participant with an incentive. 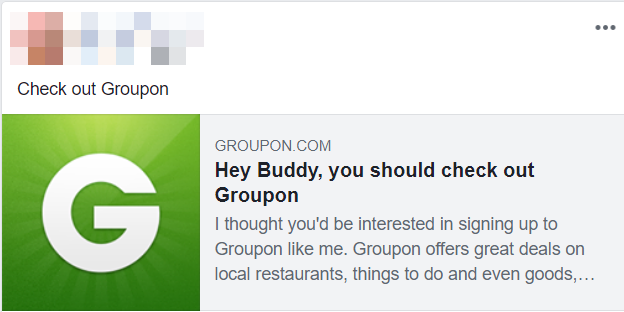 Another thing that dropped it’s rating down is that even though Groupon is largely used on mobile, you can only access the program from a web browser. We’re certain they used to promote their referral program on mobile, so maybe it’s just hidden? 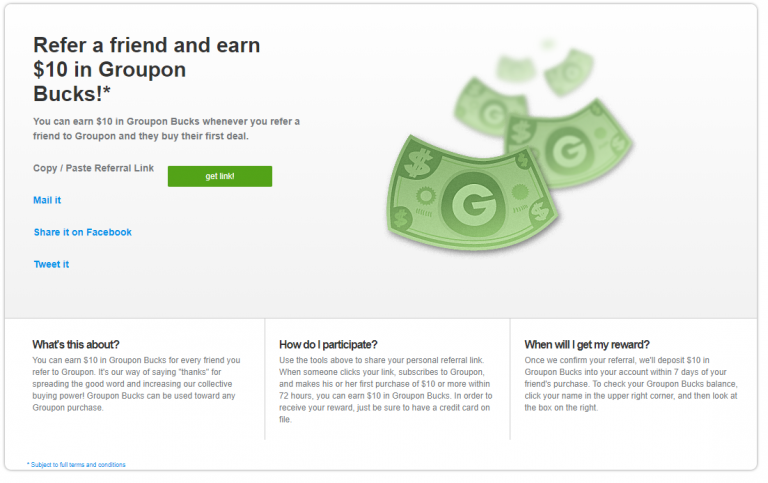 The Groupon Referral Program offers a one-way reward, giving the participant a reward for referring.